Are you looking for a modern and minimalistic sectional sofa to serve as the centerpiece of your living room? Sectionals have evolved from large, bulky pieces of furniture to minimalist designs you can customize for your room. Sectional sofas are great for living rooms of all sizes. They’re perfect for seating a bunch of people in a small area. Plus, you’re able to spread out and refresh after a long day. In this article, we take a look at seven of the best modern and minimalistic sectional sofas for your home. The La-Z-Boy Leighton Sectional takes classic styles like rolled arms and wooden legs then packages them into a modern design. This sectional sofa comes in over 900 different fabrics including leather and iClean stain-resistant fabric. 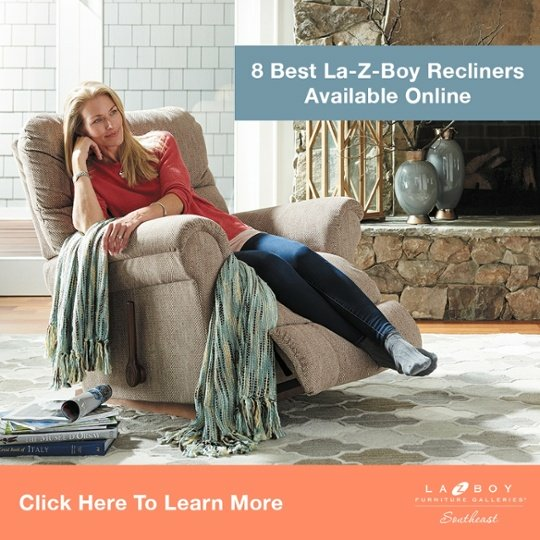 You can see how each fabric, color, and pattern will look in your house by ordering free swatches through La-Z-Boy. Most people put their biggest pieces of furniture in grey, blue, and other neutral colors. Then you can add color through your pillows, rugs, and accessories. Another great part about the Leighton Sectional is that you can create a custom layout for your room. This includes a right or left-arm sitting chaise that’s perfect for stretching out for naps. 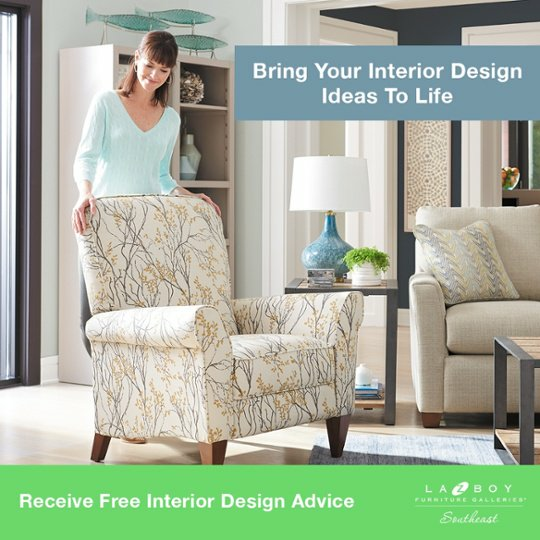 You’re able to design your Leighton Sectional and meet with a degreed interior designer for free at your local La-Z-Boy Home Furnishings & Décor. 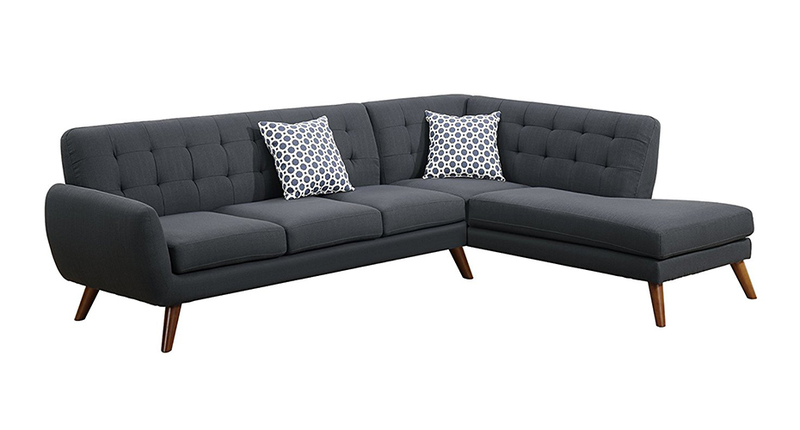 This modern and minimalistic sectional from Rivet is reversible and comes in Denim and Grey Weave. Both of these colors are solid neutrals you can use as the base of your room. The beech wood legs are simple, sturdy, and will look great on hardwoods or carpet. You’re able to put the extended chaise on the left or right of this sectional sofa. This helps you accommodate your room layout and lets you customize the seating situation for guests. 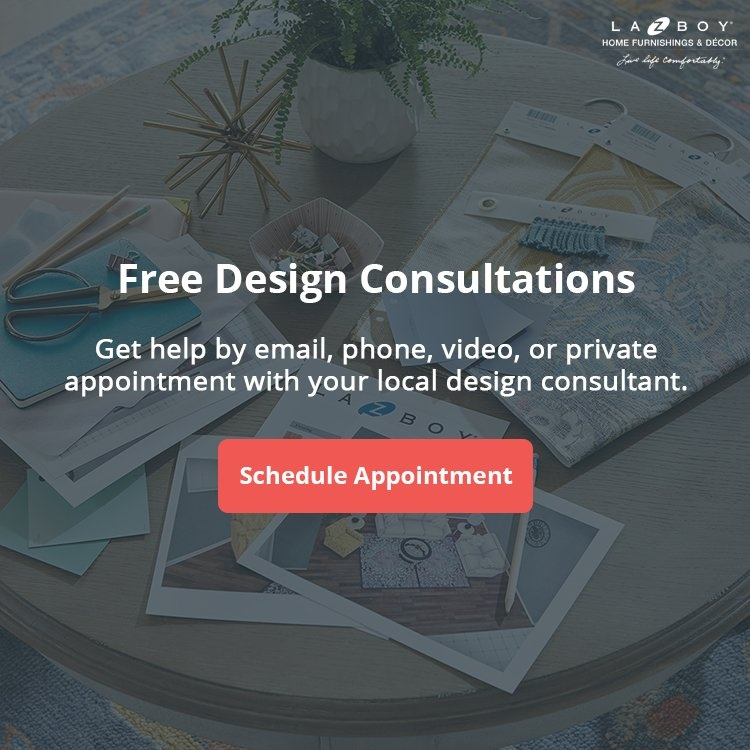 Having these options will help you complete the look of your room. Plus – If you like the style but your room can’t fit a sectional, you can use the sofa and loveseat to get the same functionality. 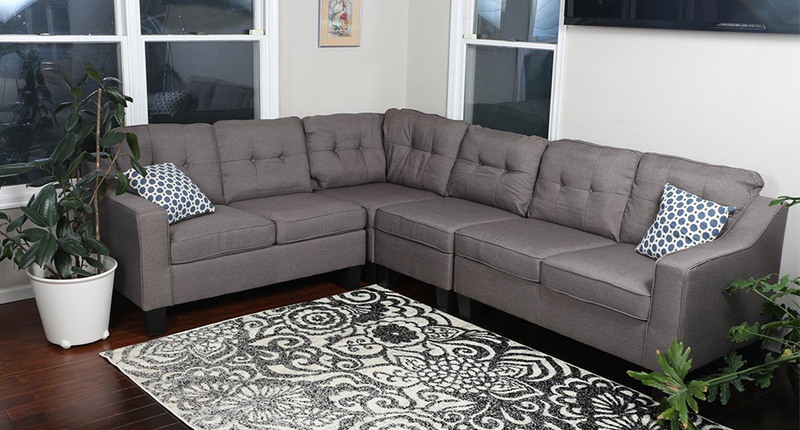 The La-Z-Boy Edie Sectional is part of the Duo by La-Z-Boy Collection. This means this modern style comes with the unexpected power to recline. It also comes with built-in USB ports so you can recharge your devices while you relax. This reclining sectional gives your guests plenty of places to sit. The collared back, track top arms, and crisp welt detail add simple sophistication to your room. You can also upholster this sectional in over 900 leathers and fabrics. If you like Edie’s style but don’t need a sectional, you’re in luck. This style is also available in a two-seat sofa and reclining chair. 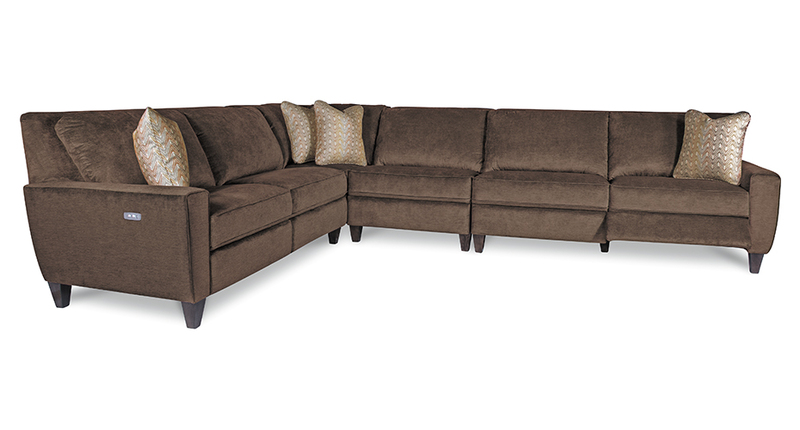 The Stone & Beam Hoffman Down-Filled Performance Sectional Sofa gives you plenty of options to accommodate your home. The down-blend cushions provide plush comfort and they’re stain-resistant. However, they might be too soft for some people. This 127-inch-wide sectional sofa is the same length on both sides. So, you can make it work with the extension on the left or right. All of these styles are available in Ecru and Grey Tweed. Ecru is a light natural tan color that will look great with bright pillows and accessories. 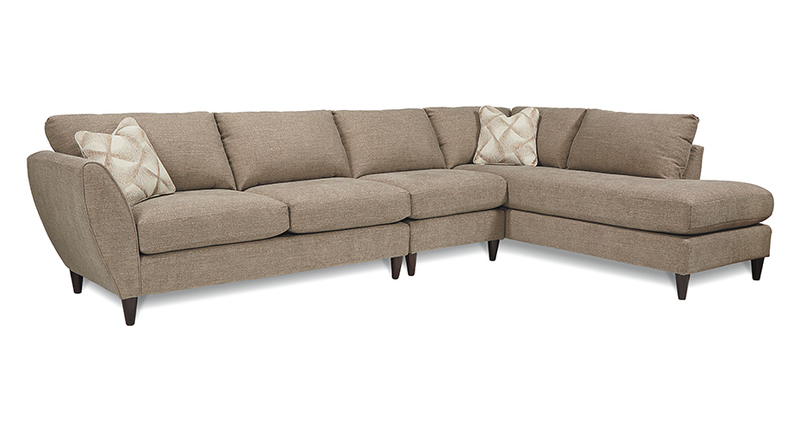 The La-Z-Boy Tribeca Sectional has a modern and unique design that you can customize to the needs of your room. You can completely modify the configuration of this sofa sectional and it comes in over 900 different leathers and fabrics. 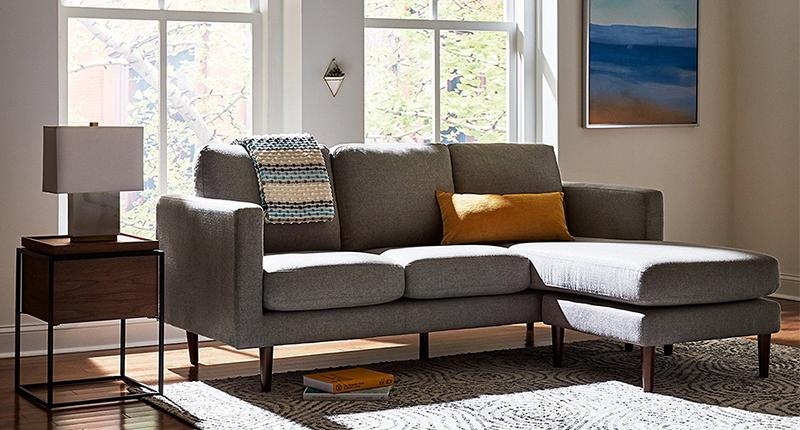 You’re able to add a chaise or cuddler to either side of the Tribeca. The cuddler is a super cute extended cushion that’s perfect for couples. Instead of laying out straight like a chaise, the cuddler extends your sectional at a 45-degree angle. 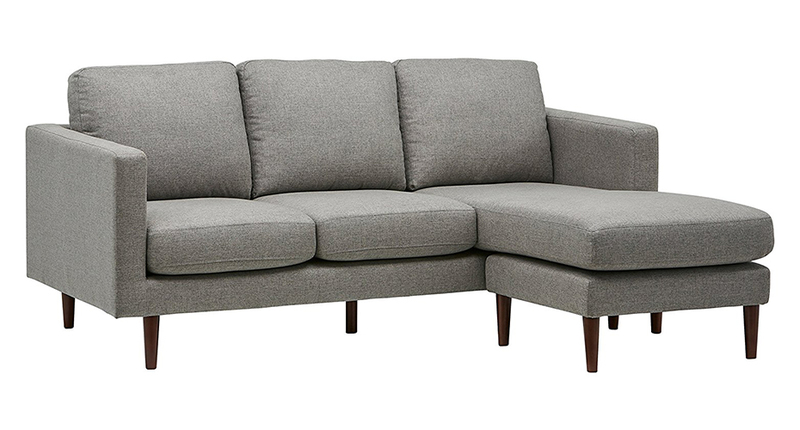 This linen cloth sectional sofa from Oliver Smith is modern, adjustable, and the cheapest on this list. Fixed position cushions will keep your sectional looking neat. The only negative is you have to spot clean the cushions because they can’t be removed. 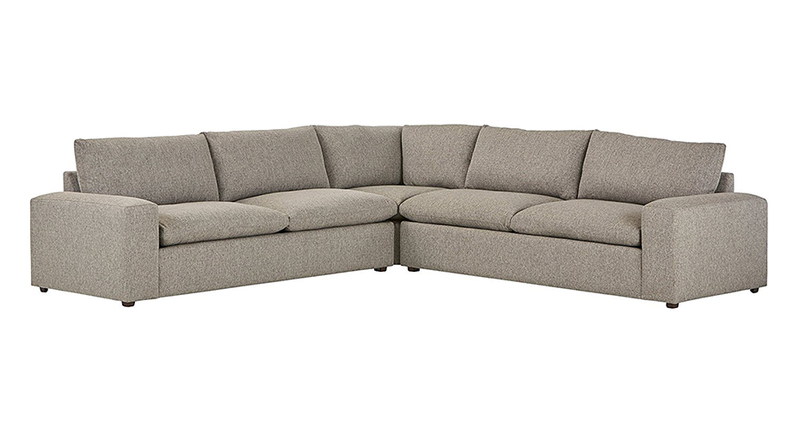 Oliver Smith’s minimalistic sectional comes in Brownish Grey and Light Grey. Brownish Grey is basically just a dark neutral grey color. Both of these colors are popular, and can be brought to life with exciting patterns in your accents. You can easily adjust this sectional sofa so it extends to the left or right. The legs are screw-on and quick to assemble. However, you might be concerned with their durability. The Poundex Bobkona Belinda Sectional has a tight back and seat cushions filled with foam and inner springs for durability and comfort. 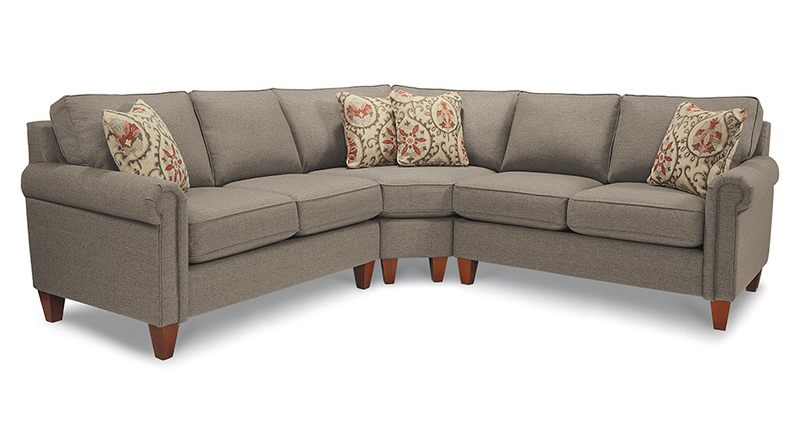 This 2-piece sectional comes with a retro look with a unique sense of style. However, this sectional has a few complaints. The chaise is not reversible and only comes on the right side. You’ll have to double check this design works for your room before buying. Another issue pet-owners have with this sectional is the fabric is easily torn by sharp claws. If you share your home with animals, you may want to stay away from this one. These sectional sofas will do a great job of serving as the anchor of your modern and minimalistic living room. Upholstering them in a neutral solid like grey or blue will allow you to bring color in through your accessories, rugs, and other pieces of furniture. Best Furniture for Pets: Leather or Fabric?